OpenTable is a website that allows you to reserve a table with restaurants who use the service. If you own a restaurant and would like to provide the option for visitors to book a reservation with OpenTable from your site the you need to add the OpenTable restaurant reservations option in your website. You will have to set up your account on OpenTable Restaurant Centre by finding your restaurant. Copy the script provided in the next step by clicking on Copy Code. 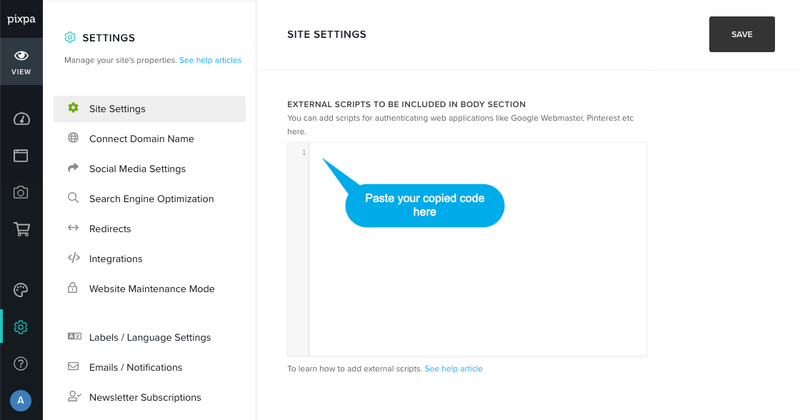 Paste the copied code in External Script <body> section. Now refresh the website you would see the OpenTable reservation option in the bottom left. Note : You can also add this script in a Page as well by creating a page and pasting the code in custom code block.